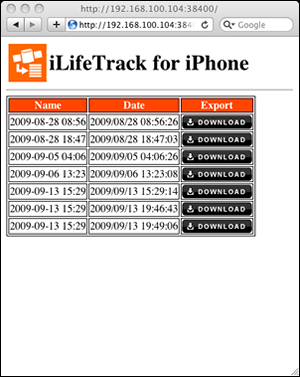 iLifeTrack is a sport type GPS application with data logger on your iPhone 3G or 3GS. It has an embedded HTTP server based on !UPnP specification to export the recorded routes, then you can get the routes by standard browsers such as Internet Explore and Safari to use the routes with other applications or Web services such as Google Earth or Google Map easily. 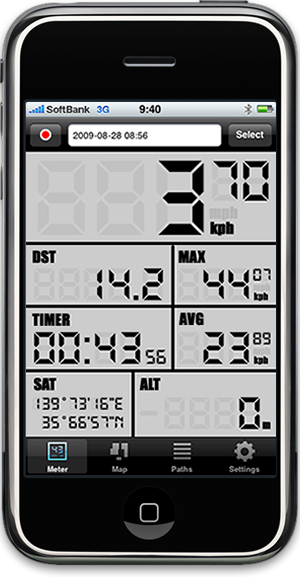 Display current speed, max speed, average speed, distance and moved time. Provide GPS information about latitude, longitude and altitude. Display map information using the current GPS location. 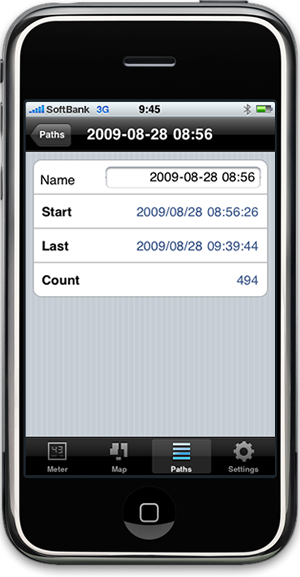 Record GPS location information every the specified interval. Export the recorded routes in KML format using standard browsers. The view displays current speed, distance, max speed, average speed, moved time and GPS location at a time. Using the record button in the top toolbar, you can record your routes easily The view displays your surrounding map infomation using the current GPS location, and you can manipulate the center and the scaling of the map ealily. 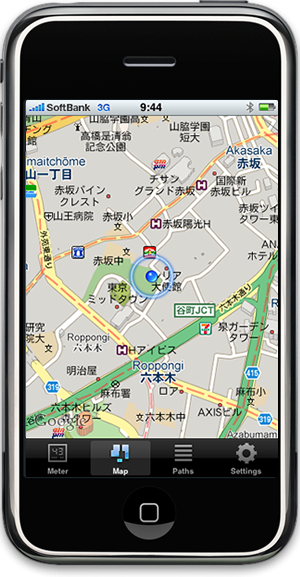 The view displays all recorded routes, and you can delete the garbage routes or edit the infomation such as the name in the detail view. Using standard browsers such as Safari, you can get the recorded routes in KML format to use the routes with other applications or Web services such as Google Earth or Google Map easily.